PLAYM8 ® Partner Pack. 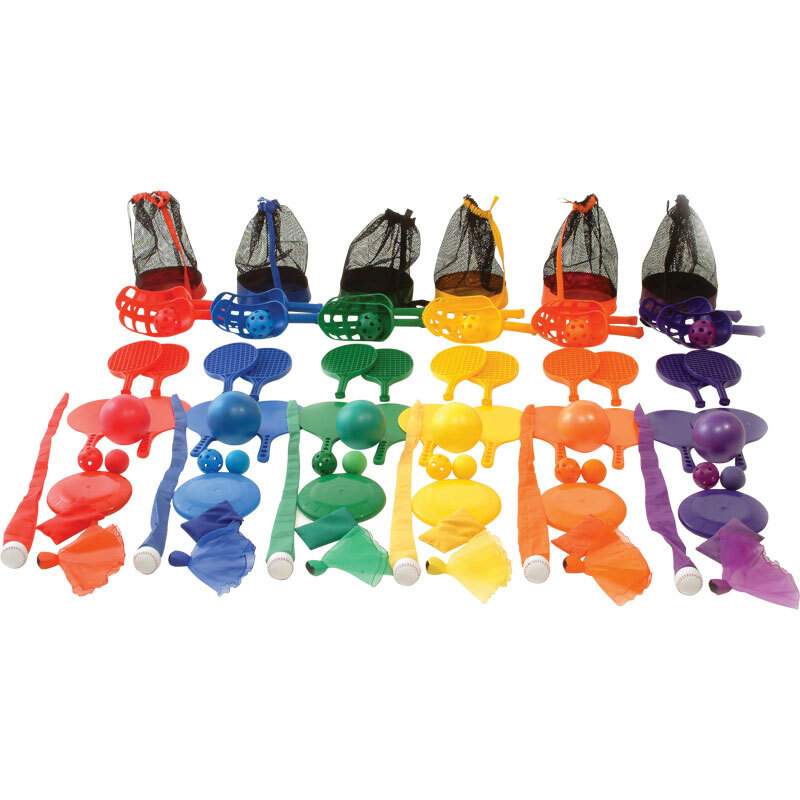 These drawstring bags in the PLAYM8 ® colours contain a selection of equipment that requires a partner for encouraging interactive play. One of each colour: red, yellow, blue, green, orange and purple with the contents below. 2 x PLAYM8 ® Paddle Bats. 2 x PLAYM8 ® Mini Rackets. 1 x PLAYM8 ® Scoop Racket Set. 1 x PLAYM8 ® 7cm Foam Ball. 1 x PLAYM8 ® Small Zoft Ball. 1 x PLAYM8 ® Flyer. 1 x PLAYM8 ® Catchtail Ball. 1 x PLAYM8 ® Throwing Scarf. 1 x PLAYM8 ® Beanbag. 1 x PLAYM8 ® 15cm Softtouch Ball. 1 x PLAYM8 ® Drawstring Bag.